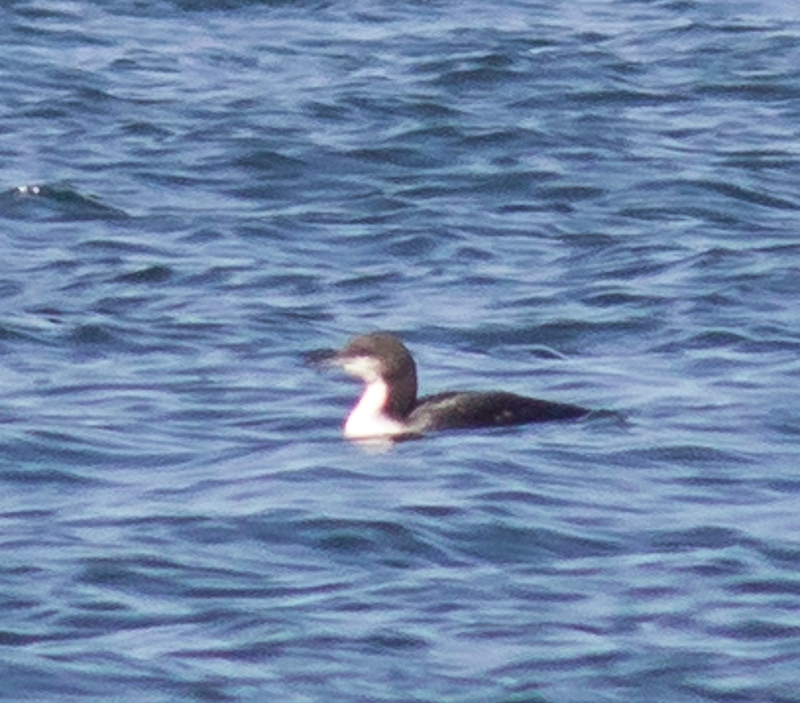 Pacific Loon- one of three out on the point. 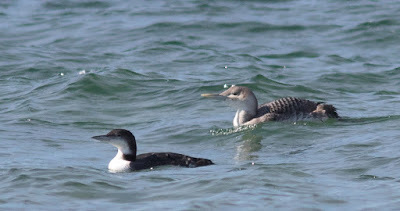 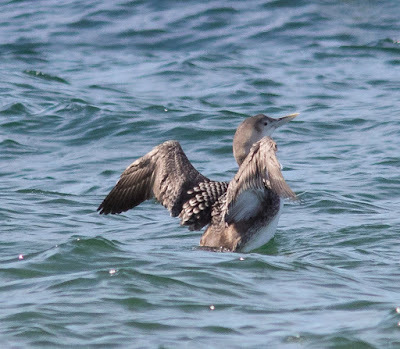 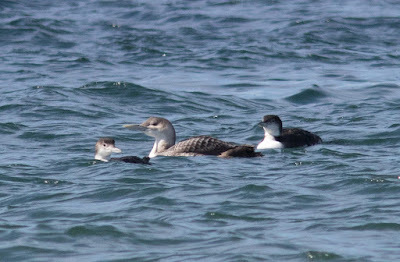 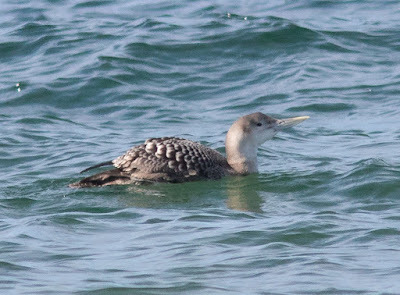 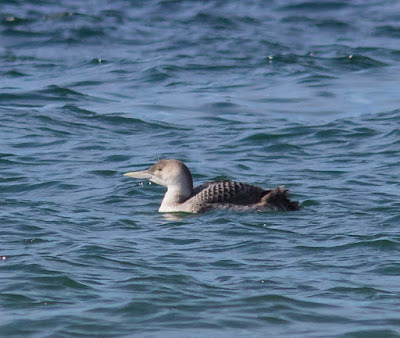 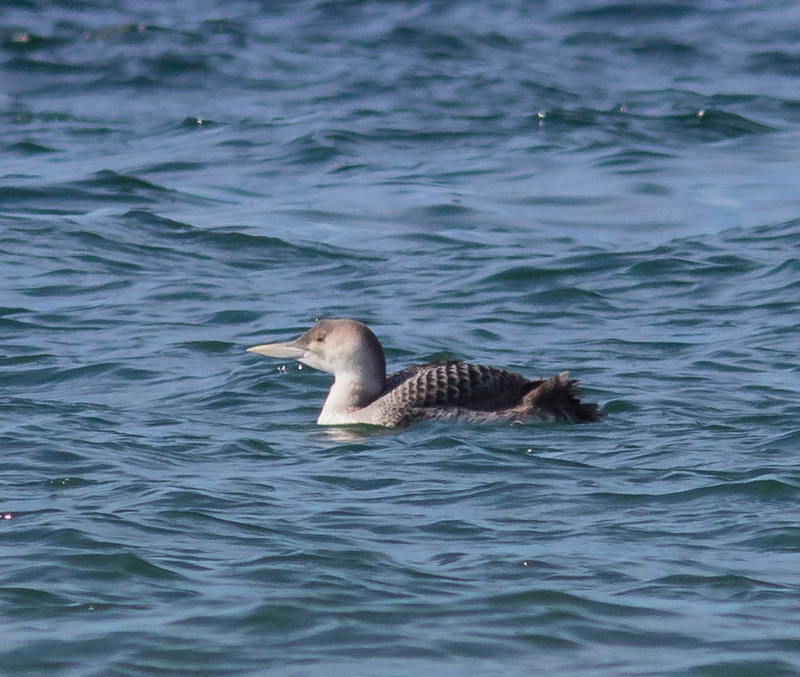 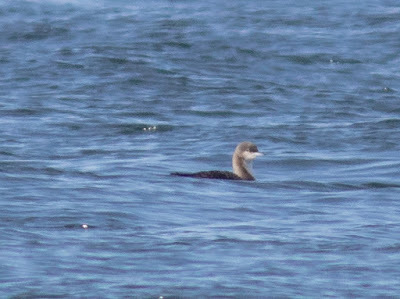 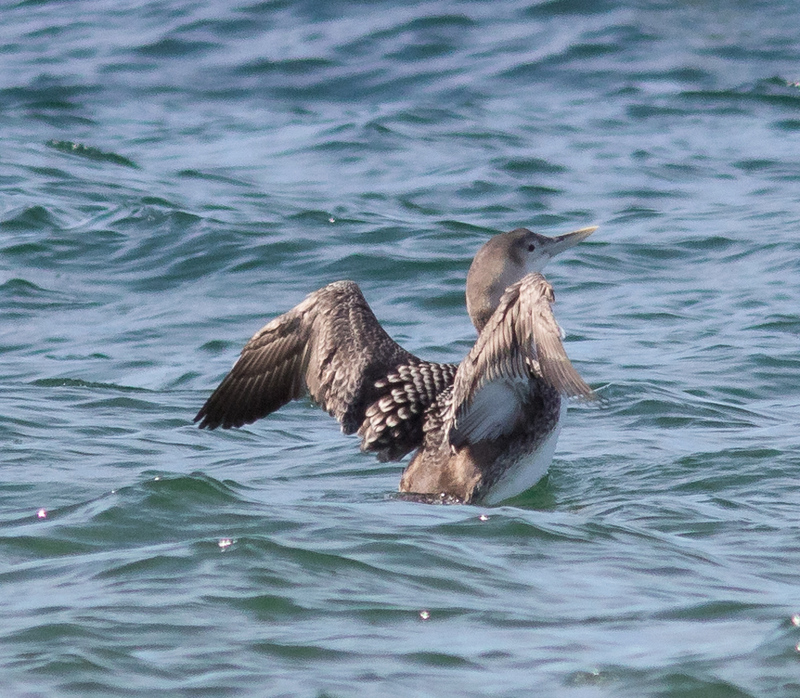 Although rare in New England, in recent years Pacific Loons have been regular at Race Point. 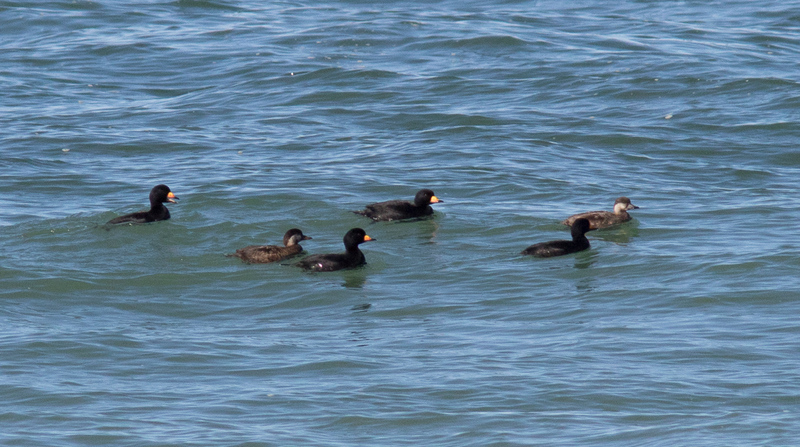 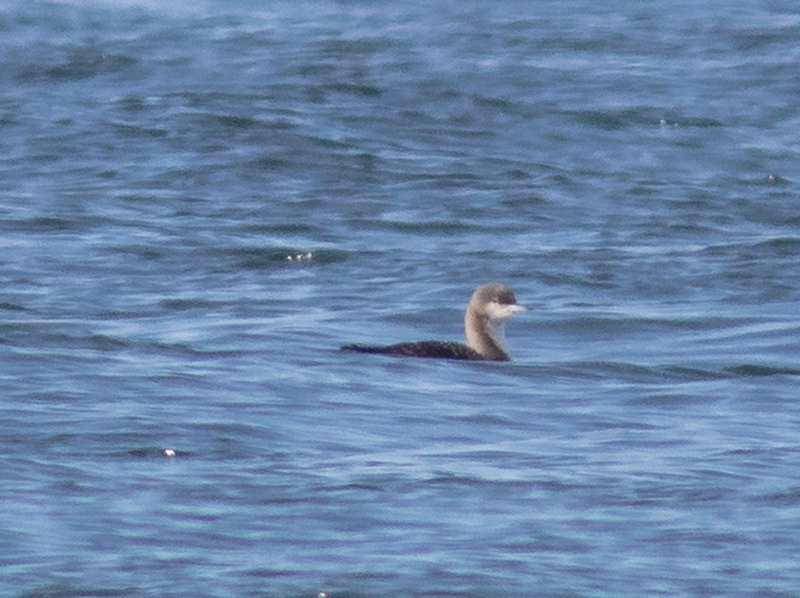 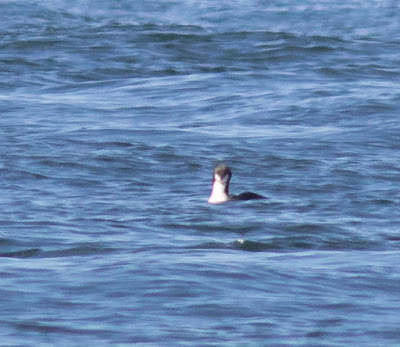 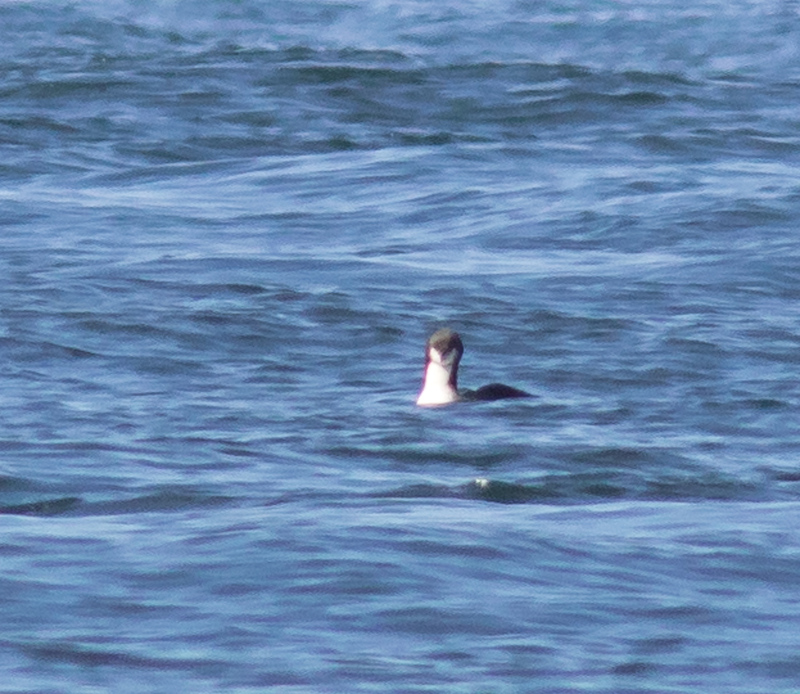 Pacific Loon-Certainly not a great shot, but shows the thin chin strap, sharp demarcation line along the neck.